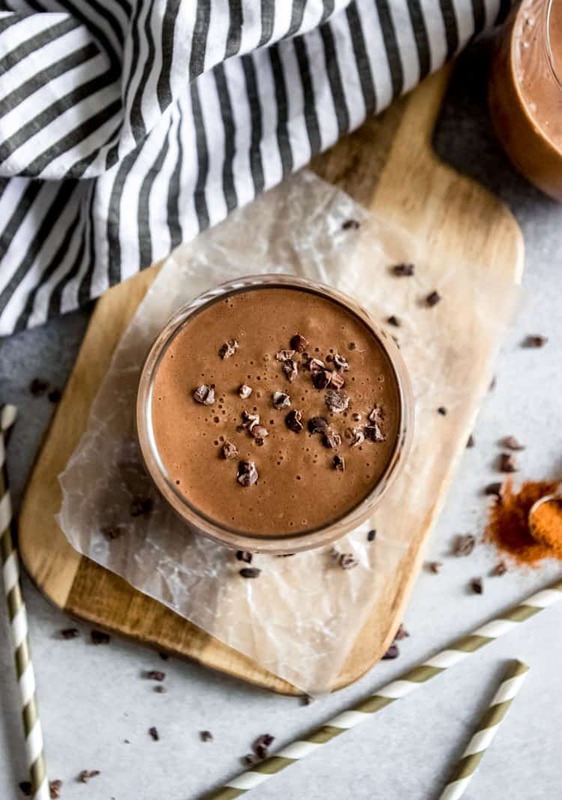 A Chocolate Banana Smoothie is a no brainer, but add a kick of heat and spice with cayenne pepper and your smoothie is gonna be on fire! 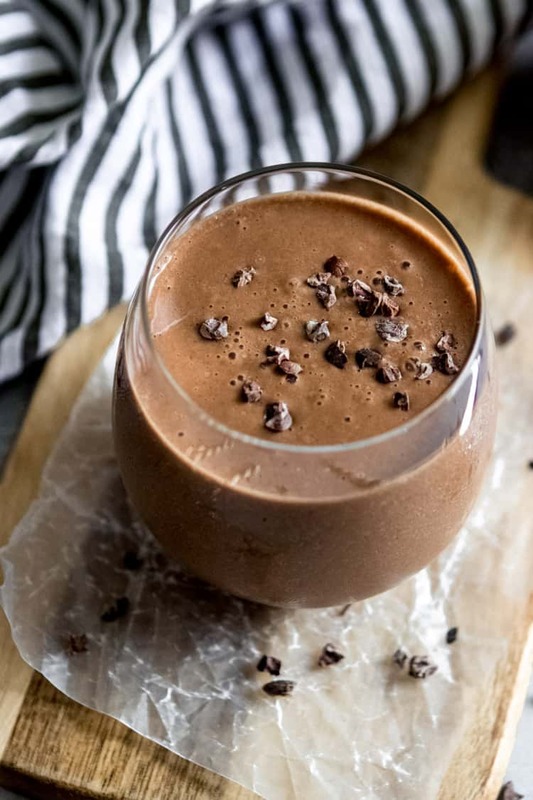 Rich and creamy chocolate deliciousness with a bit of spicy! I am having a slight issue doing much typing tonight–I seemed to have cut my pointer finger on my right hand. And the funny thing is, I have no idea ho wit happened. Crazy? Yes, but true. I was outside with Sam and then looked down at my finger at one point and noticed it was cut. Don’t worry, it’s nothing major and there wasn’t blood everywhere, but the cut takes up the whole pad of the tip of my finger so it is certainly a nuisance. It is making typing not so fun so that means I will keep my words to a minimum right here. This should be rather challenging, but I will see what I can do! I shared this Anti-Inflammatory Blueberry Smoothie on the blog years ago and it still continues to be one of the most popular recipes on the blog to date. Now, I am bringing you another one of my personal favorites that I honestly always thought was too basic to add to the blog. 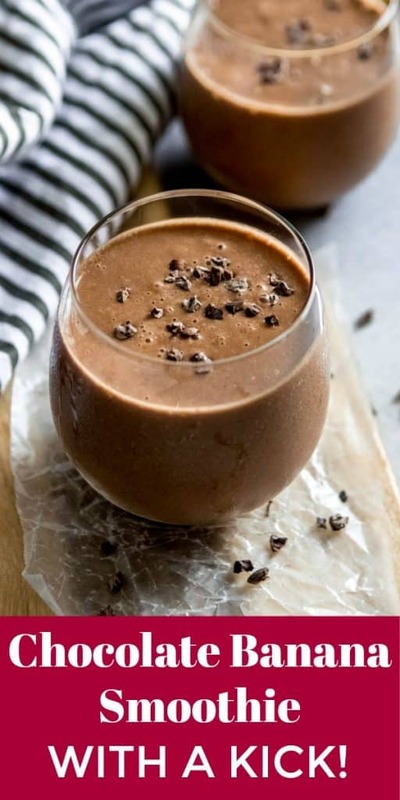 Recently as I was sipping on one of these Chocolate Banana Smoothies, I decided it was just too good NOT to share. The key to this recipe is all in the spicy kick. I LOVE LOVE LOOOOOVE a touch of cayenne in my smoothies. Sweet and spicy is so incredible. 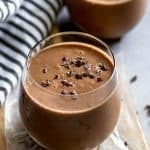 In a way this smoothie is similar to a Mexican hot chocolate, so if you are a fan then this one is for you! Rich, creamy, thick chocolate goodness, with a touch of heat that comes through right at the end of each sip. It’s a dream to me! 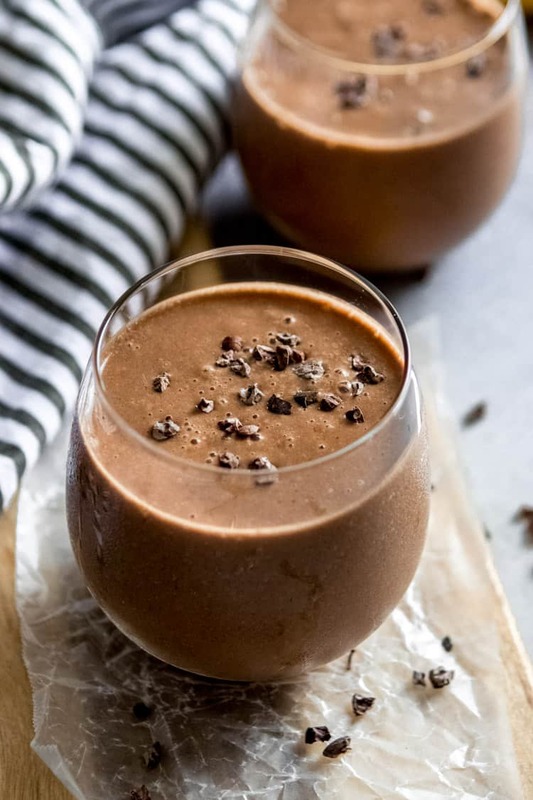 A Juicery near us made a similar smoothie and called it the Sweet Heat Smoothie and that is exactly what this Chocolate Banana Smoothie is–sweet that brings the heat! Ok, ok, so cayenne is not your thing. First, don’t knock it until you try it. Even if you just add a teeny tiny bit, you may be surprised. It doesn’t change the flavor, it just adds the kick. But if you are sitting there thinking no way, Lorie, just NO WAY then that is fine as well. Perhaps a touch of cinnamon would be more your thing. I can get behind that as well. 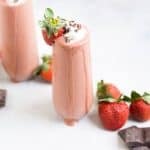 And to be truly fair, this smoothie is so delicious even without the spice–I learned that recently when Sam decided he wanted some of my smoothie and I had to make one without the cayenne so he didn’t scream at me! Still amazing! 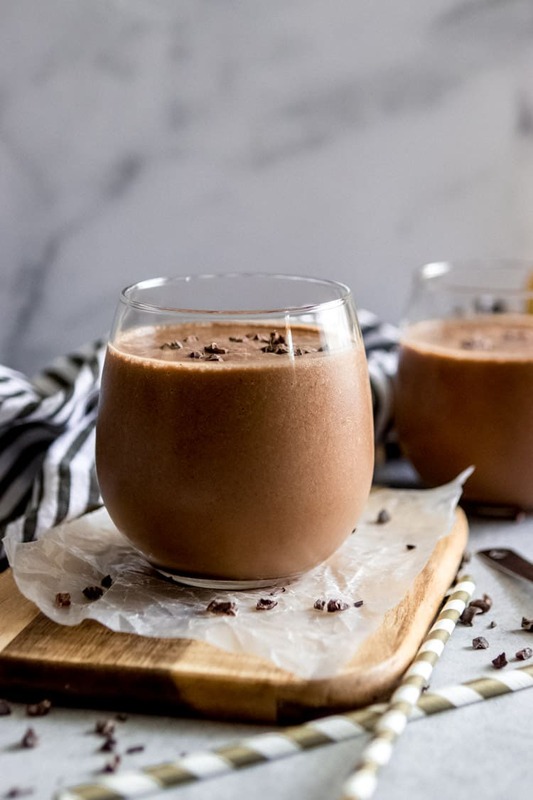 Simple chocolate goodness is what you get from this Chocolate Banana Smoothie–but you also get a ride on the wild side so let’s go! 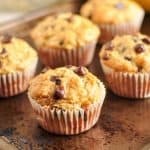 Combine all ingredients into a high powered blender. Blend well until smooth.